I’m horrible at keeping my New Year’s resolutions year in and year out. They typically fall by the wayside a few weeks into the new year. I don’t mean to give up on them so soon. Are you the same way? Do you know how to keep your New Years resolution this year? I continue to make the same mistakes when designing my New Year’s Resolutions year after year, but I am bound and determined to make this year different than the past few. Did You Make Too Many New Year’s Resolutions? Did you make too many New Year’s Resolutions? Do you make several in different categories of your life? For example, did you set the goal of getting out of debt along with starting to save for retirement? That is quite a lofty set of goals. It is okay to have multiple goals, but I find it easier to focus on and keep them if you only set one per major category of your life. For example, you might only have one financial goal of getting out of debt this year, but that should not stop you from also setting the goal of losing weight by working out three times a week. There are several goals that I want to accomplish this year. So, I have listed a few ways that you can actually keep your New Year’s resolutions this time around. How Many Goals Should You Have? How many goals are too many goals? For large goals like getting out of debt or starting an exercise regimen when none existed previously, I would only shoot for about three, one big goal from a different section of your life and not overlapping. Any more than that and you may find yourself getting overwhelmed. If you really think about it, is there any way that you can really keep tons of goals over the next few weeks, let alone the next several months? That is probably why we are already just now starting February and struggling to keep resolutions that we made only four short weeks ago. Your goals have to be specific, measurable, attainable, results oriented, and time-based (SMART Goals). This is one of the best ways to layout efficient goals that have the most likely chance for you to keep your New Year’s Resolutions this time. SMART stands for specific, measurable, attainable, realistic, and timely. If you follow this outline to your goal making, you will be more likely to find success. When it comes to setting goals, we often shoot ourselves in the foot. We shoot for the moon. Or, shoot from the hip. We are full of great intentions but also poor planning and even worse execution. By slowing down, taking a good hard look at what we can accomplish, and setting realistic goals, we can then have a pray to stick with them. Your New Year’s Resolutions need to be very specific. You should not simply list a goal of losing weight this year. Instead, you should say that you want to lose 30 pounds in 12 months or one pound per week. Not only is this goal very specific, but it is also measurable. You can accurately gauge your success or failure simply by getting on the scale. Your goal also has to be something that you can reasonably accomplish in a timeframe that you set which is the T in SMART. Your goals should not be forever open ended. They should have a clear ending point that you can measure yourself against. And, finally, the R is for results oriented goals or results based and relevant. Sticking to these five attributes when you construct your specific goals can help you to stick to them and your New Year’s Resolutions this year. Remember, it is never too late to set a goal. Even in February, now is the time to recommit yourself to a New Year’s Resolution. So, you fell off the horse. So what? Get back on and start again. Start from today. Pick up like today is January 1st instead of four weeks later. 2. Write It Down And Post It Everywhere. One of the best pieces of advice that I ever received was to write down your goals and keep them where you can see them. I have a little post-it note attached to the corner of my bathroom mirror with my goals listed on them. I see them first thing every morning when I get up and get ready to go to work. It is a great reminder! You can also post things on your refrigerator like a First Grader. Or, I also have motivational quotes from Shopify and Gary Vaynerchuk posted directly in my line of view in my office at work. It’s awesome! 3. Tell All Your Friends And Family. It is like having an accountability partner or even a workout partner in the gym. The more people who know about your New Year’s Resolutions and the goals you want to accomplish will lead to you actually sticking when them. You do not want to let anyone down especially your close friends and family. That is why you should tell a lot of people your goals. Hopefully, they will keep asking you how you are doing with them. They can offer you words of encouragement that you need to accomplish your goals. One of the best things that you can do to help keep your New Year’s resolutions is to find an accountability partner. Tell everyone important to you about your New Year’s resolutions and what they are. It is a lot harder to drop your goal to lose weight, for example, when you tell everyone that is what you are working towards. You will quickly find your friends watching what you order at restaurants and eat. 4. Start Small And Build. Like Dave Ramsey says…it is all about baby steps. You have to start small. We all have great grandiose ideas of New Year’s Resolutions and goals for ourselves, and to make matters worse we want to accomplish these goals right away. After the holiday shopping season, U.S. consumers are expected to end the year with over $80 billion more credit card debt according to a recent WalletHub’s latest Debt Study. When it comes to how to keep your New Years resolution, consumers are looking at more than just losing weight. According to a recent Visa consumer survey, almost 35% of consumers say they want to either get their finances in order (19.8%) or save more money (14.9%). But, you have got to start small with your New Year’s Resolutions and goals and build to a big accomplishment. This does not mean that you cannot accomplish something extraordinary. You absolutely can do it, but it will take time. And, you may find that you have a better chance of breaking your big goal down into small, more manageable chunks. 5. Do You Really Want It? You would think that this question would be a no-brainer. Who would plan a New Year’s Resolution that they do not really want to accomplish? You’d be surprised. How many of us have felt the peer pressure whether real or imagined that makes us add goals to our lives that we have no intention of tackling. We have to be honest with ourselves when we make our New Year’s Resolutions. That’s the only way that we will ever have a prayer of keeping them. 6. Automate Your New Year’s Resolutions. This is a really easy way to keep your New Year’s Resolutions if they involve money. Do you want to pay off your debt? 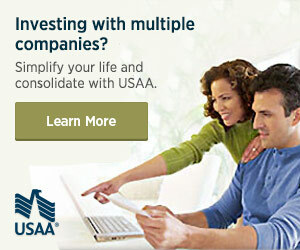 Or, are you looking at maximizing your Roth IRA contributions this year? Automating your debt repayment or investments from your paycheck to your bank account and then to the financial institution is the way to go. David Bach made this famous in his book, “The Automatic Millionaire “. You are much more likely to keep your New Year’s Resolutions like these if you make it automatic. The least amount that you have to come into contact with your money moves will be better. Like the infomercial says, set it and forget it. What are you going to do when you accomplish your goal? What about sub-goals that lead you to your overall goal or New Year’s Resolutions? How are you going to reward yourself when you meet these goals? Just dreaming of how you are going to celebrate can keep you on the straight and narrow path and actually keep your New Year’s Resolutions this time. 8. Limit Your Number Of Resolutions. There is a reason that the United States Army is set up with a span of control of four. It is thought that a commander in the field can only really effectively control four direct subordinates at the most. That is one of the reasons behind each Battalion having about four Companies and each Company having about four platoons or so. The same is true with many things that we do or control. There are only so many things that we can devote our limited time and attention towards. Four is a really great number. Your number might be lower than that or even a little higher at five or six. But, you should definitely limit the number of New Year’s Resolutions that you develop. Keep the number small and manageable. Or, consider only picking one New Year’s Resolution. We often find ourselves making several New Year’s resolutions each year. It is hard to focus on too many things even though they all may be important to you. One way to keep your New Year’s resolutions may be to only pick the most important one to focus your energies on. You should consider compartmentalizing your resolutions. If you cannot simply pick one New Year’s resolution to focus on this year, then maybe you should only consider one resolution per part of your life. For example, consider only making one resolution about your personal life, one about family, one about your finances. It is easier to focus on one big New Year’s resolution in each area of your life instead of several. You may want to focus your energy on either getting out of debt or increasing your income. Dividing your priorities and focus can work against you to keep your New Year’s resolutions. Maybe you should consider not making the same resolution as last year. Do you resolve to complete the same goals that you had last year? Do you make losing weight or getting out of debt one of your New Year’s resolutions every year? There may be many reasons why you have not completed those goals year after year. Maybe subconsciously you do not even want to complete them. You may find it easier to keep your New Year’s resolutions if you simply choose new ones this year. Take small steps toward your goal. You may have a large goal or New Year’s resolution that you are aiming for, but you can rest assured that there are more than likely to be smaller sub-steps you have to complete towards that goal. Like eliminating your debt using Dave Ramsey’s book and program, The Total Money Makeover, taking baby steps to complete your goals helps you accomplish large things that you may otherwise not think that you could. Be sure to reward yourself along the way. You should reward yourself every time you reach a milestone in accomplishing your New Year’s resolutions and goals. This will keep you motivated to continue to accomplish your goals. 9. Find What Your Excuse Is. 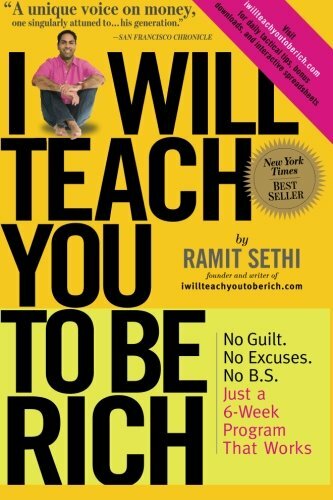 I remember the speech that Ramit Sethi, the author of “I Will Teach You To Be Rich “, gave at FINCON where he made the offhand comment about why he refused to go to the gym and workout. The story had something to do with him having to get up when it was early and cold to find clothes to wear. Instead, he would simply roll back over and go to sleep leaving his workout for another day that never came. So, one day, he had an epiphany and decided to choose his workout clothes the night before, lay them out, and not spend several precious minutes in the cold looking for something to wear. Needless to say, it worked and he started working out again. It all comes down to finding the root of the reason for his excuse to not work out. All of our New Year’s Resolutions have the same detractor typically. What is keeping you from paying off your debt? Working out? Quitting smoking? It is probably something weird, small, insignificant, and easily overcome. It is getting to that root cause that is the hard part. 10. Don’t Bother Making Any Resolutions. Do you want to know the easiest way to keep all of your New Year’s Resolutions? It is simple. Just don’t bother to make any of them. That is the only sure-fire way to keep them all and meet your goals. Everything else is a struggle, but I am willing to bet that it is a struggle that you want, need, and are willing to tackle. We all need goals in our lives. We all need something out on the horizon to reach towards. If we didn’t have them, what’s the point? These are the only ways that I know how to keep your New Year’s Resolutions. Do you know how to keep your New Years resolution this year? Are you even bothering to make New Year’s Resolutions? I’d love to hear your thoughts in the comment section below. Good ideas! I do not set New Year’s Resolutions as they’re often nebulous and people often fail at them. The goals I do set are throughout the year and follow the SMART goal system so it allows me to form a plan around what I am wanting to accomplish. There are some great tips in here. The two I like best are making smart goals…people do often make goals that are insane or vague–how on earth can someone accomplish something with no set parameters? So that’s a good tip, make smart resolutions! THe other I like is writing it down in places. My wife is big on using an erasable marker and writing goals on our bathroom mirror. When she reaches milestones she can erase them until the mirror is clear. She likes that pretty good! #10 is awesome. These are great tips. Telling everyone is a sure-fire way to make sure you’ll follow through, especially if you’re externally motivated (like most). The last thing most people want is to look like a failure in front of their friends and colleagues. I’m a fan of telling friends and getting an accountability partner. This will really help you keep your resolution, especially if you have a partner to remind you over time. For 2013, part of my goal is to add up some money in our savings account. I am not getting any younger, it’s about time I work doubly hard to have a better retirement savings. Some good advice and have just 2 goals better health and wealth! Thank you for sharing your post.